Joigny, in the Yonne department of the Burgundy region, is on the banks of the Yonne River and is overlooked by the Chateau des Gondi. The surrounding countryside is considered scenic, so much so, that in 1802 the English painter J M W Turner stopped by for a while and recorded some sketches. There are several churches and chapels in the town including the church of Saint Jean and the 16th century Gothic style Church of Saint-Thibault. Fragments of the medieval ramparts that once protected the town are extant and include one of the original arched stone doorways through the early castle walls at the Porte Saint Jean. Another imposing gateway at the north of the town called the Porte du Bois is also in good repair. The town was largely rebuilt in the 16th century after much of it was destroyed by fire. 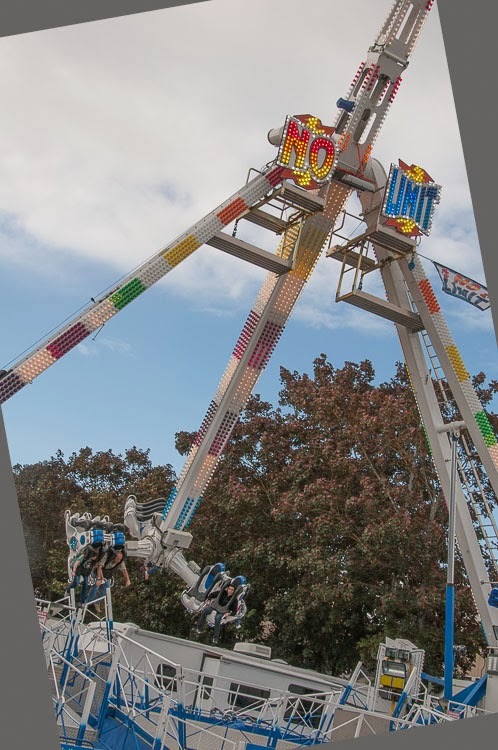 Against expectations, the area around Joigny is renowned for its cider rather than wine and the nearby valleys are populated predominately with apple orchards, not vineyards. Joigny has a market each Wednesday and Saturday. Additional pictures here. 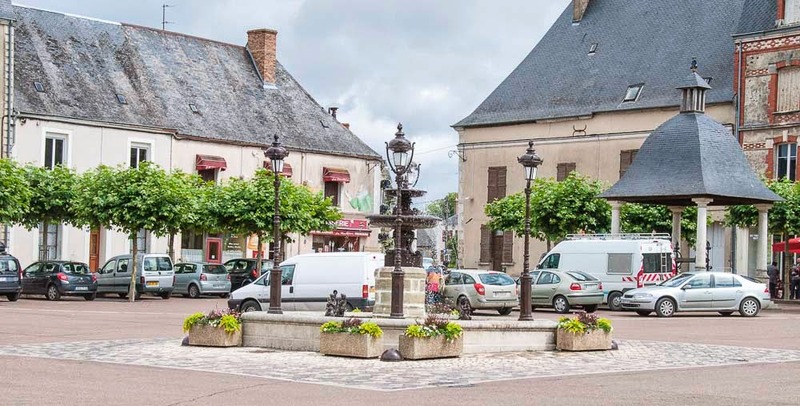 A quick overnight stop in Charny, a tiny commune in the Yonne department of Burgundy just 20 miles east of Montargis, provided a welcome break. While there is not much to this 1700 population town, reflecting on its turbulent and violent history one might conclude it has done well to survive at all. Charny, known at the time as Caarnetum, first appears on a deed dated 1130 CE. Two hundred years later, with its population at around 2,000, the city appears to have been at its zenith. There was a quarantine facility for lepers, a new defensive wall had been built and, in 1309, King Philippe le Bel stopped by to meet and greet. C'est magnifique! In 1358 the town managed to stave off an attack by Sir Robert Knolles, an English knight, during his failed invasion of France. By the 15th century however, Charny's good fortune came to a complete stop. 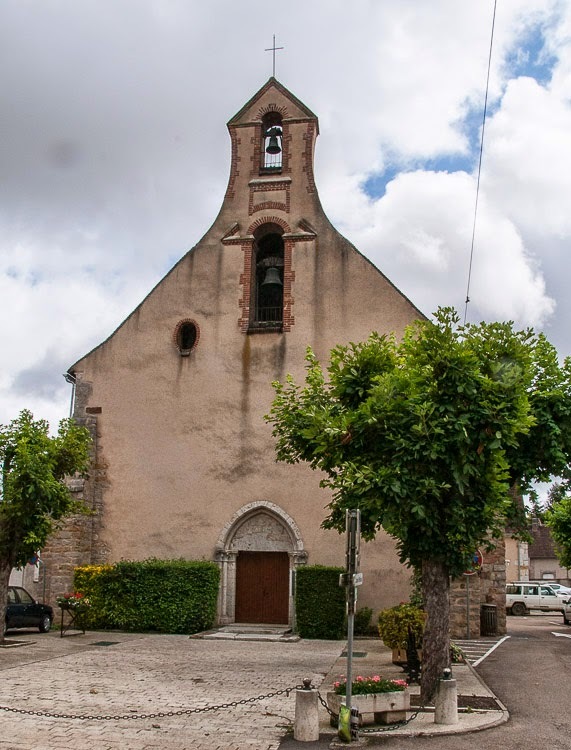 Between 1426 and 1443 (toward the end of the Hundred Years War) the town changed hands six times, bouncing back and forth between the Bourguignons and the Armagnacs. By the end of the war, in 1453, the town was wholly destroyed and was completely abandoned for about 50 years. Following its eventual resuscitation another misfortune struck in 1706 when a fire razed everything to the ground except a barn and a few houses. 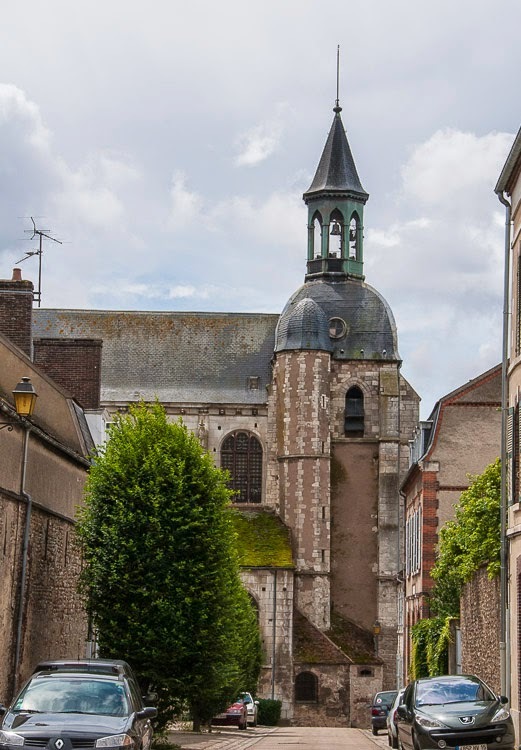 Today, Charny continues as the head town of its canton, a distinction held since 1802, and has absorbed the village of “la Mothe aux Aulnaies” along the way. In summary, another stagnant township of rural France just 75 miles from Paris. A few more pictures here. Montargis, with a population of 15,000, is the second largest town in the Loiret department after Orléans and is about 68 miles south of Paris. 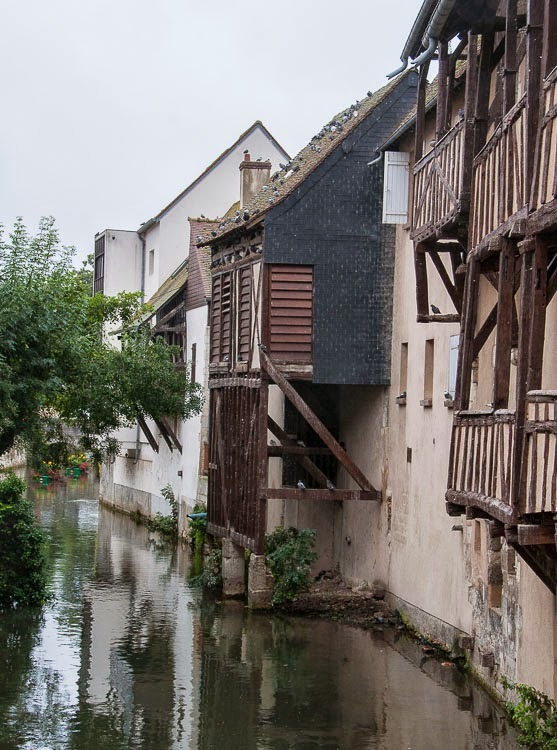 With numerous canals and bridges, it sometimes bills itself as the "Venice of the Gâtinais", Gâtinais being a former province of France prior to being absorbed into the Loiret department. The town is known from ancient times and numerous Gallo-Roman artifacts have been found in the area, many of which are in the town's Gâtinais Museum. Later, the town became a stronghold of the Frankish king Clovis 1st before falling into the hands of the house of Courtenay, who fortified a château on a hill overlooking the town. 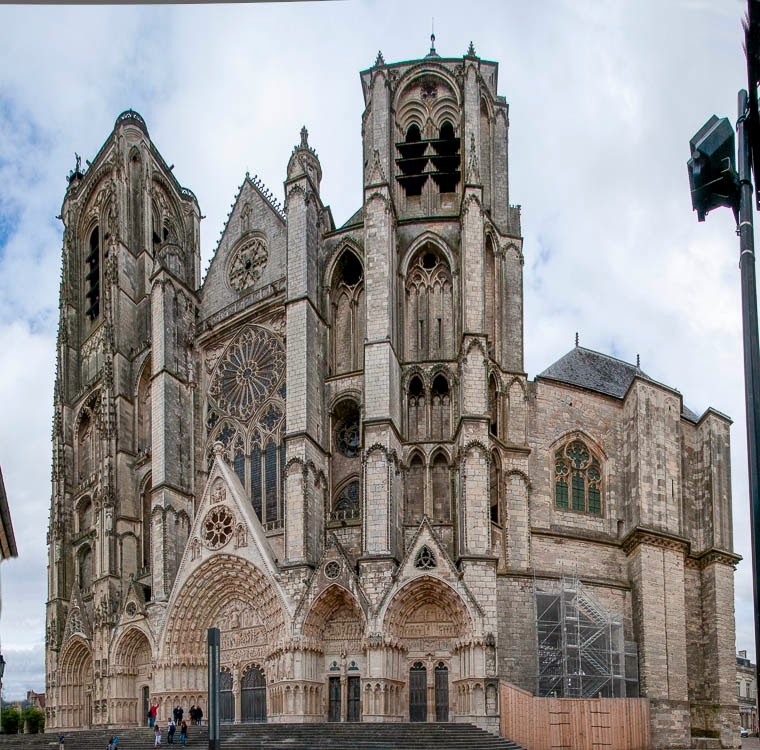 The town was ceded to the king of France in 1188 and became a royal residence in the 14th and 15th centuries. In 1427, during the Hundred Years' War, the Earl of Warwick besieged the town, beginning a bombardment on July 15 of that year. On September 5, a French force of 1600 men broke the siege, led by Jean de Dunois and La Hire, commanders who would go on to lead the army of Joan of Arc. After the 100 Years War, Charles VII rewarded the town for its valor by granting it various privileges and, in 1490, Charles VIII officially declared Montargis Le Franc - tax-free. The acronym, MLF, appears in the official coat of arms and the town remained free of taxes for three centuries, until the French Revolution. In the time of Louis XIII a local shop that is still in existence first produced what became known as praline, the crunchy candy made from almonds in cooked sugar. Less romantic is the rubber factory, built in the 1880s, in the Châlette district that today employs 2000 workers in the production of tires and parts for vehicles and appliances. More pictures of this workaday town here.